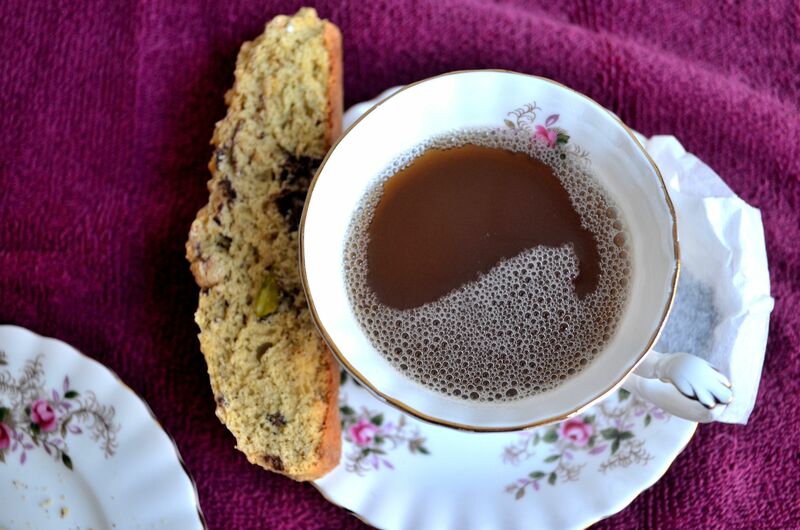 Pistachio & Dark Chocolate Biscot-tea party! Hello lovlies! I hope all is well! Anyhoo, in honor of Downtown Abbey being on TV in the States (I found Season 3 a few months ago on my secret TV website but I didn’t want to break that to my mom, she was so excited, so I waited to watch it ’till I came home for Christmasssssssss) and that my mom finally obtained my great grandmother’s favorite china pattern, we decided to have a little tea party. It. Was. AWESOME. 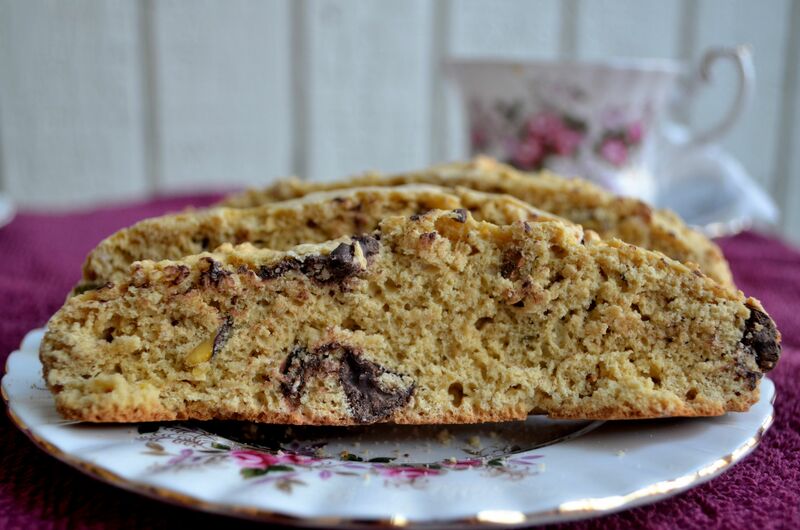 And of course, any Smith Family Tea Party wouldn’t be complete without some homemade pistachio & dark chocolate biscotti! 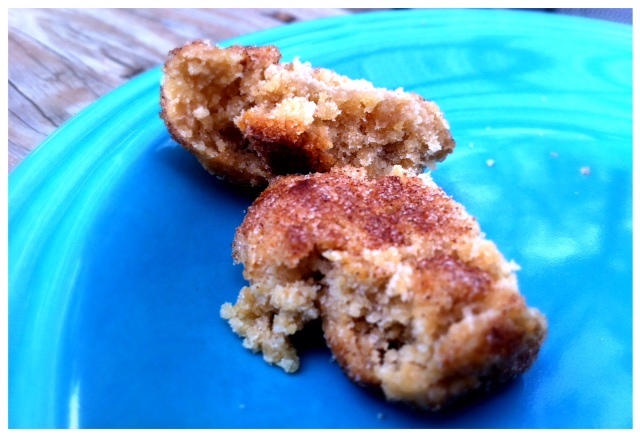 Combine flour, oat bran/flour, baking powder and salt in a medium bowl and set aside. 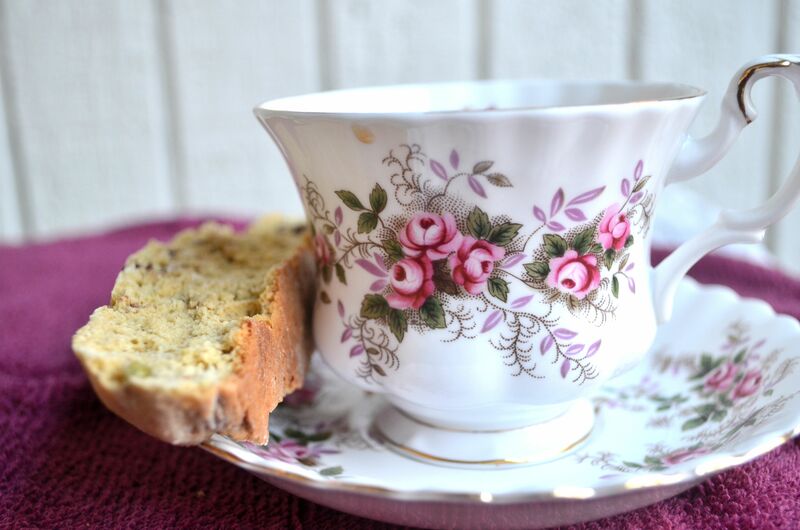 With an electric mixer, beat together the sugars and butter on medium speed in a large bowl. Add eggs and egg white, lemon juice and vanilla, beating until well blended. Lightly flour hands and divide dough in half. Shape each half into an 8 x 3 x 3/4 inch loaf and place on a prepared cookie sheet. Bake on middle oven rack for 20 minutes. Remove loaves from cookie sheet and cool on a wire rack for 15 minutes. Reduce oven temperature to 275 F.
Place slices back on cookie sheet and bake for 8 minutes on one side, then flip them over and bake for 8 more minutes. When finished, allow them to cool completely on a wire rack. Greetings food-lovers! I’m currently in Houston, visiting my world-traveling boyfriend after he spent the entire summer in Japan. And of course, I didn’t come empty handed; a good girlfriend always brings cookies (or at least I do so I can have something to snack on during the trip). Jonathan’s favorite cookies come in the form of white chocolate macadamia nut but I thought I would spice things up just a bit. 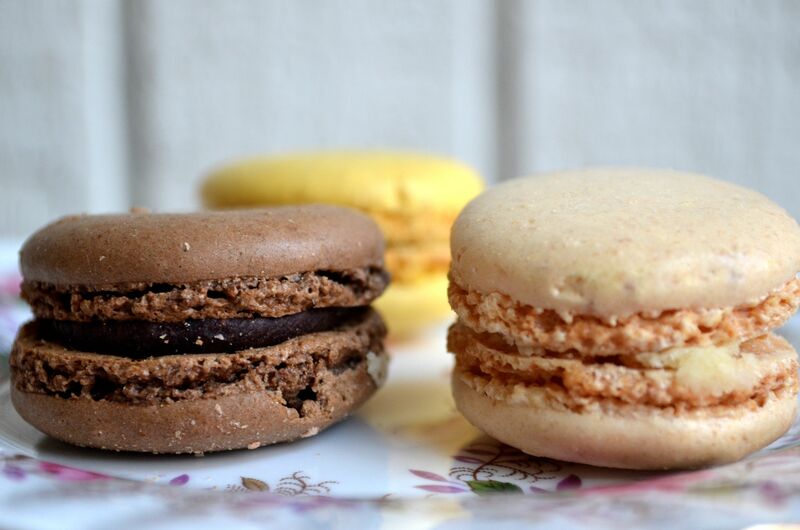 I really wanted to experiment with interesting flavor combinations so for these bad boys, we have pairings such as blueberries and ginger alongside white chocolate and sea salt. I love that no single flavor is too overpowering but all come together quite nicely with each bite! No worries though! The macadamia nuts are still here. 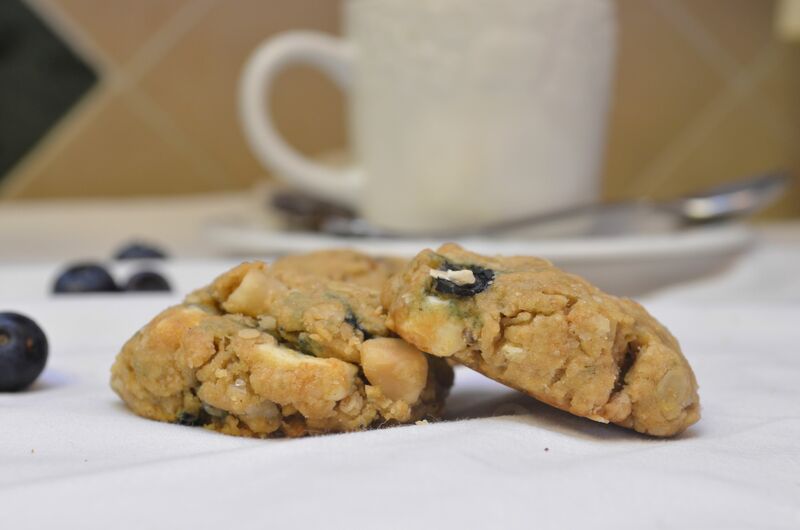 However, you’ll be glad to find that some of that crunch comes from a decent amount of oats (and oat flour!) in the recipe. If you’re looking to go gluten-free, go ahead and substitute the remaining cup of white whole wheat flour for oats ground in a food processor or spice grinder (although, be sure to check that they’re specified as whole grain or gluten-free!). I love to have these bite-sized bits of heaven with tea but they also go perfectly well on their own. 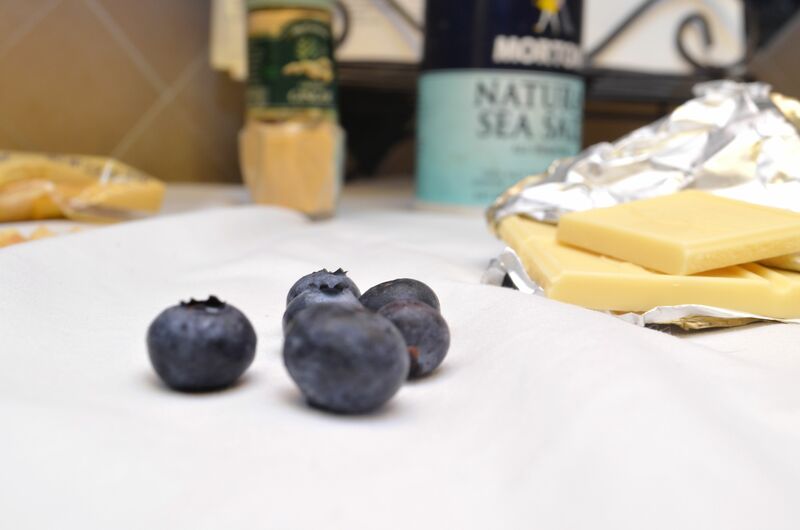 For more flavor combinations, try substituting dried cherries for blueberries or dark chocolate for white! Combine flours, soda, salt and ginger in a small bowl and whisk thoroughly. Set aside. In a medium bowl, mix together egg, sugar, oil and vanilla. Add dry ingredients and mix until combined. 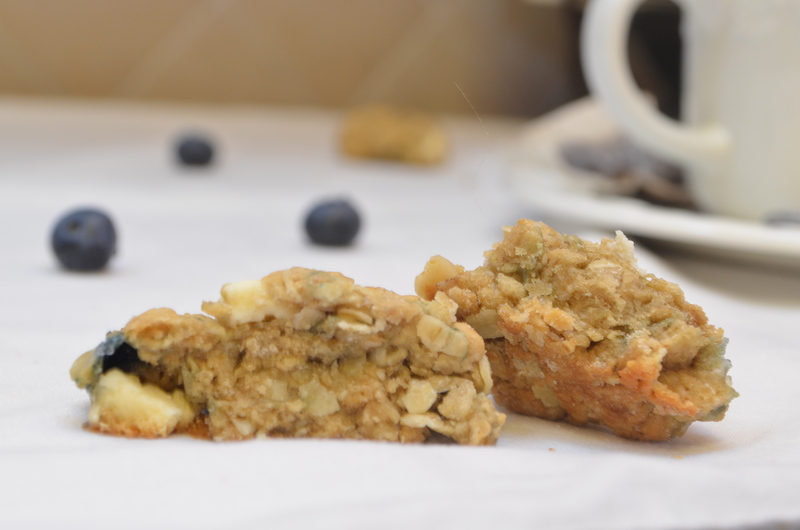 Stir in white chocolate, blueberries, oats and macadamia nuts. Place dough in rounded tablespoons in baking sheets. Bake for 8-10 minutes until golden around the edges. 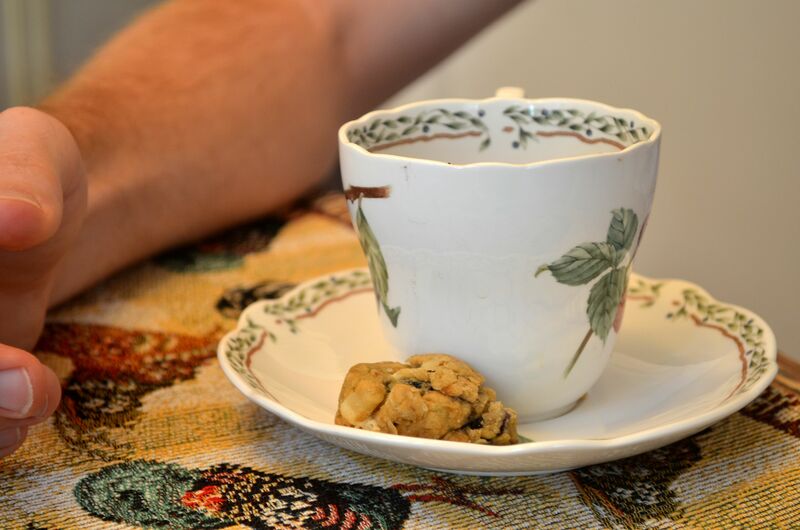 Chocolate chip cookies are somewhat of a staple in my life thanks to recipes peppering the Smith family tree like apples. Very homegrown, American. 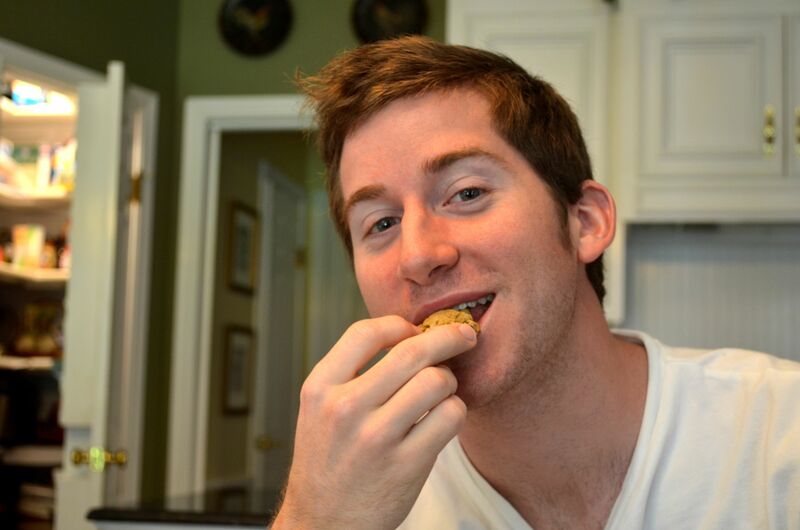 And honestly, what’s more American than putting something extra delicious BETWEEN two chocolate chip cookies? My thoughts exactly. 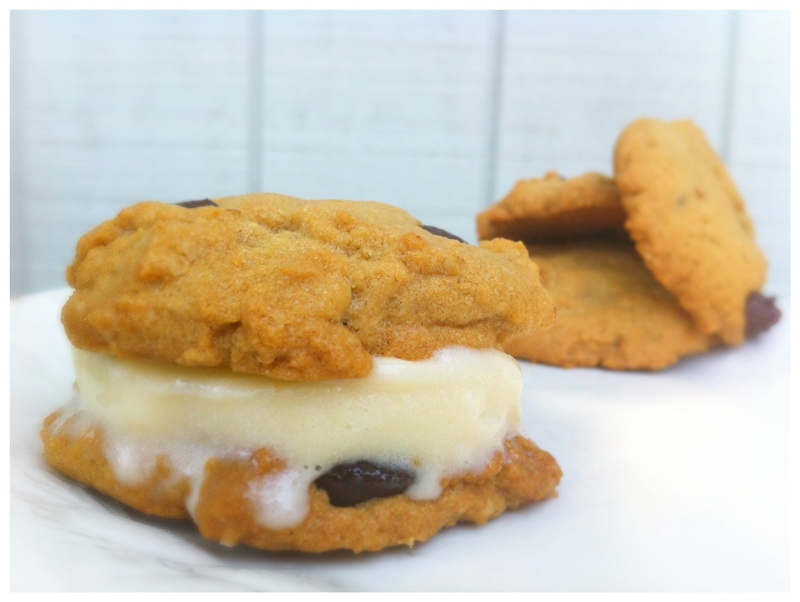 I like to think of this creation as the upgraded ice cream sandwich- the cookies contain a blend of health conscious oat and whole wheat flours alongside a mixture of butter and canola oil to bring down the fat content without sacrificing taste or texture. Also, trading traditional ice cream for low fat frozen yogurt as the star of the show makes this dish even more enticing. You can’t go wrong with fro-yo! Although I’m a fan of the ice cream sandwich, these chocolate chip cookies are also sublime when warm and oven fresh. 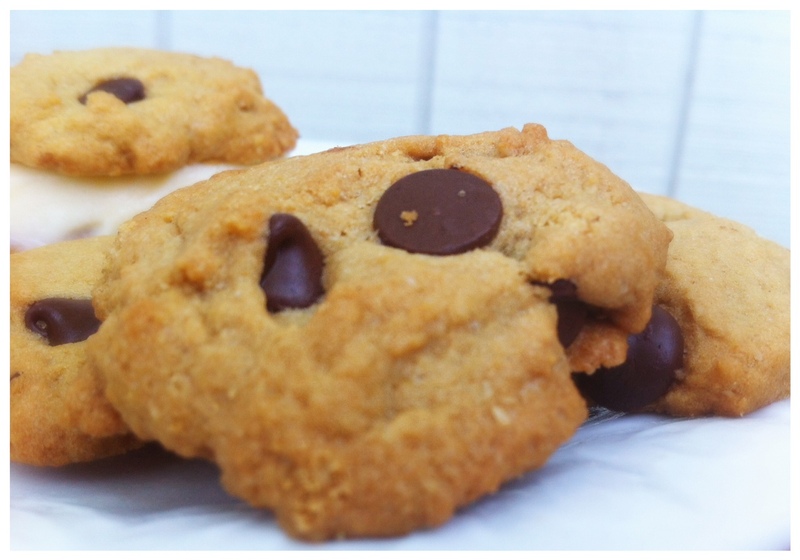 So start that healthy new years resolution a few months late and add these cookies to your recipe repertoire. Preheat oven to 350°F and convection mode if possible. Blend oats in a small food processor or coffee grinder until powder-like. Whisk together oat flour, white whole wheat flour, baking soda and salt in a medium bowl and set aside. In a large bowl, beat butter until light and fluffy. Add oil, sugars, egg and vanilla and beat until smooth and creamy. With the mixer running, add the dry ingredients, beating on low speed until just combined. Stir in chocolate chips. 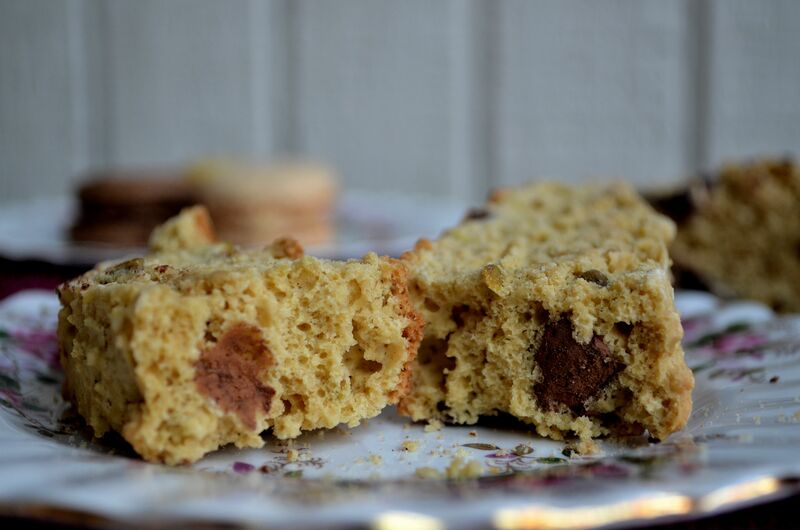 Drop the dough by heaping teaspoonfuls, at least 1 inch apart, onto baking sheets. Bake cookies for 12 minutes, rotating sheets about halfway through. Cookies should be firm and golden around the edges. Transfer to wire racks. 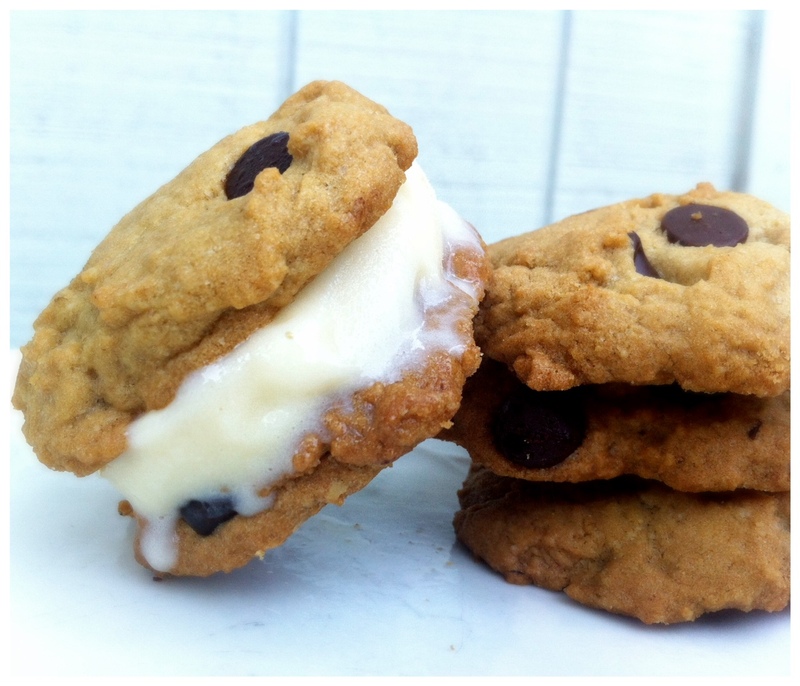 Once cool, spread a tablespoon of frozen yogurt on one cookie and top with another if desired. Today, I wanted some cookies. Actually, I’d really love to have cookies errryday but today the calling was particularly intensified by my late 24 stomach flu which had passed but caused my yesterday-diet to consist of 6 saltines, some rice n’ peas, and half a banana. Heck yes I deserve some cookies today. As I sauntered over to the frigo, I realized I had no eggs and no butter but that’s okay because I had a sneaky suspicion I wanted something vegan anyways (sometime I have those moods. In one of my classes we were talking about how fan freaking tastic black bean burgers are. Honestly, I wouldn’t mind a tat living off those.) 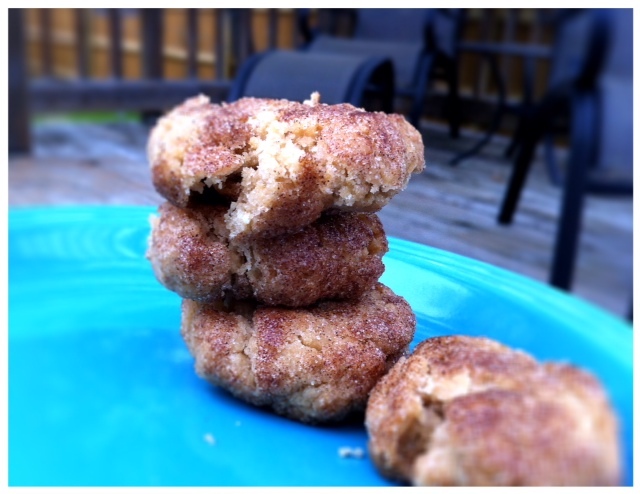 I found a pretty swell recipe for some veganized snickerdoodles and figured it was my calling and duty to bake them. And so I did. 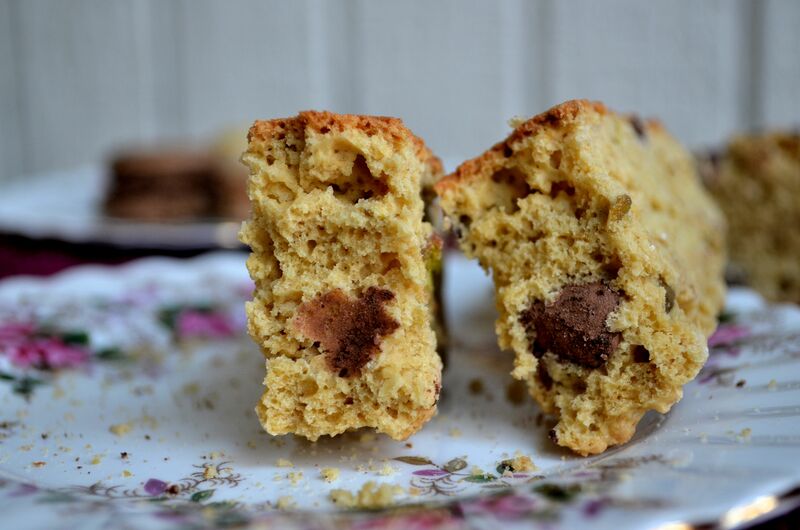 Plus, you can totally eat these in cookie dough form! No eggs holla!!!! I’m even thinking snickerdoodle cookie dough milkshake but that’s just my personal opinion. 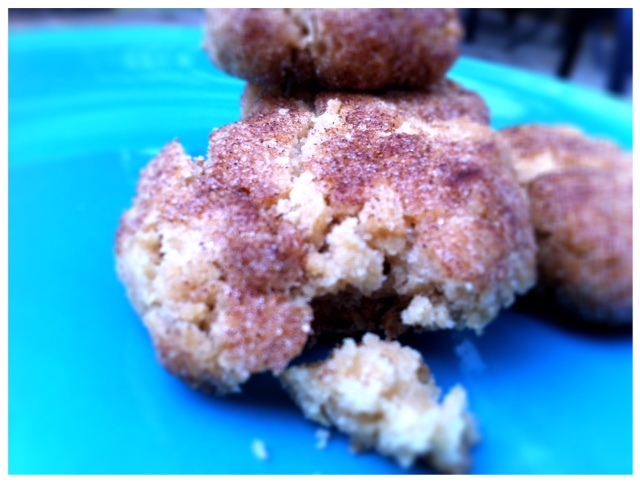 Any way you roll em’, these snickerdoodles are definitely a treat for the tasting! In a medium bowl, place flour, sugar, salt, baking powder, and cream of tarter. Mix with a whisk and set aside. In a smaller bowl, whisk together the milk, oil, and vanilla. Add to the dry ingredients and whisk until combined. 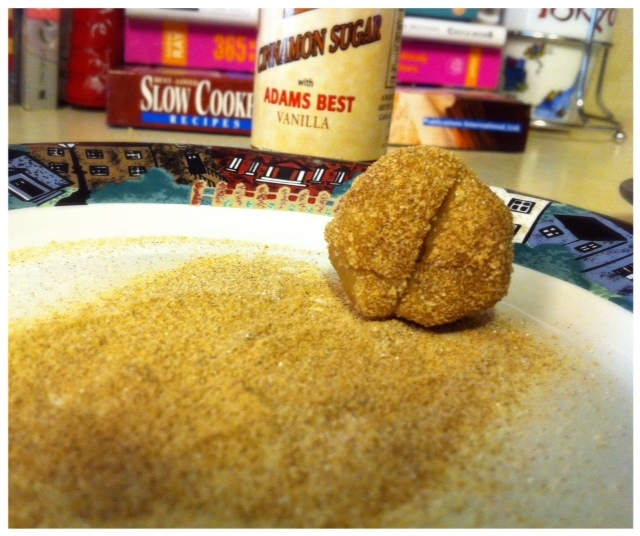 Make a mixture of 2 parts sugar, 1 part cinnamon and sprinkle on a plate. 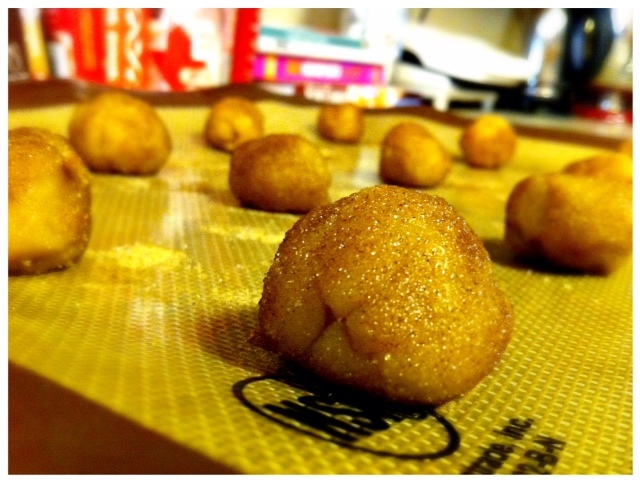 Roll the dough into small balls and then roll in the cinnamon sugar. Allow dough to chill in the refrigerator for a few hours or overnight. When ready to bake, flatten them out just a bit and set the oven to 350 F. Bake for about 10 minutes and enjoy! Need a resume amped up? A translation of your favorite French poem? Perhaps an illustration to hang in the nursery of your newborn niece? Some funky glamor shots of your favorite canine, feline, or human friend? You've come to the right place!